Just a Little Ink: October Stamp Club Projects..finally! As I mentioned yesterday, I'm working at getting caught up on my blogging. So, here are the projects we made this last month at stamp club. was used to decorate the front of the bag. 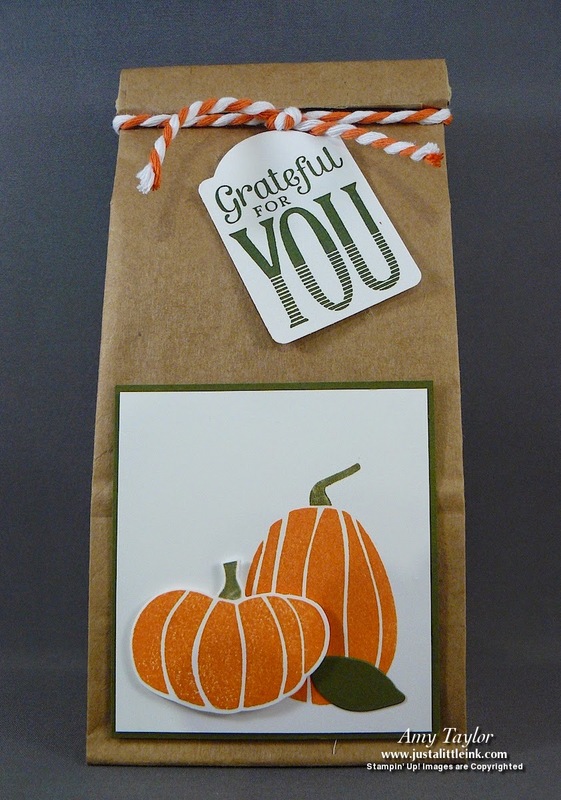 A piece of White & Tangerine Tango Two-Tone Trim along the top of the folded bag adds just the right touch. And a tag made using another bundle, Merry Everything finishes it off. 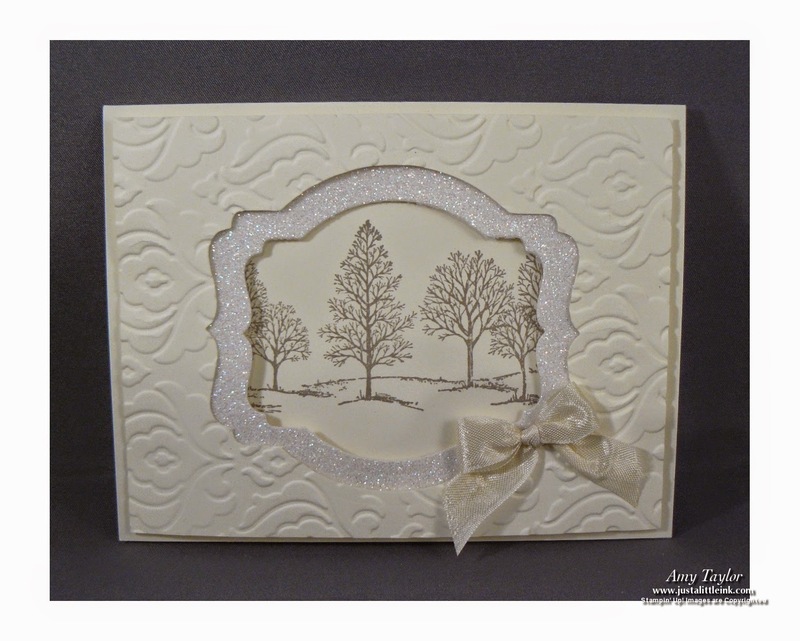 This card uses the very popular White Christmas stamp set from the Holiday Catalog. It's stamped on a piece of Whisper White card stock, colored in using the Many Marvelous Markers and then a piece of Transfer Adhesive Sheets is adhered to the top of the card stock. Remove the backing and attach a used dryer sheet over the top. There are just enough openings in the dryer sheet that when Dazzling Diamonds Glitter is sprinkled over the top, it looks like a snowy scene! The final card is a case from my friend Shauna Mikuliak. She had made a card very similar to this one for a swap this summer. 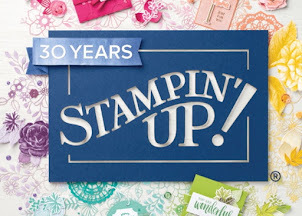 My stamp club ladies liked it so much, they wanted to make it at stamp club. Lovely As a Tree to the rescue! 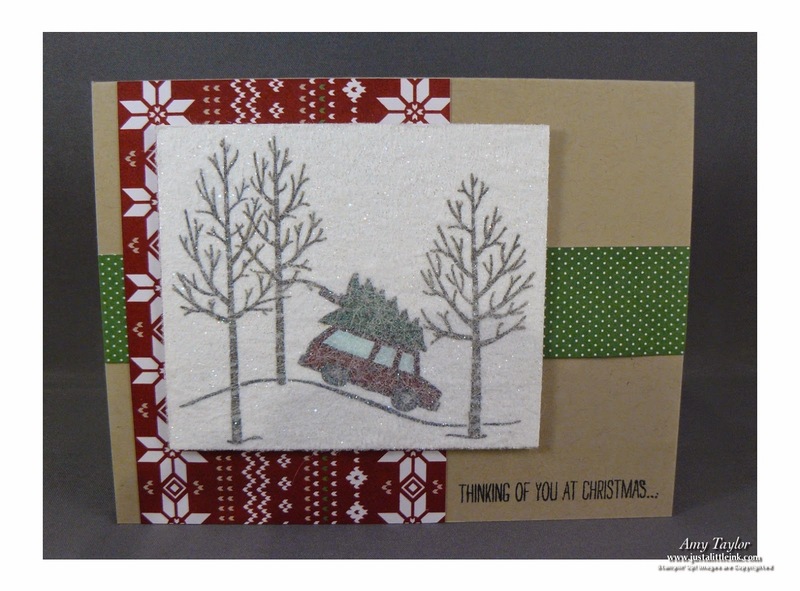 It makes a great winter card.